Will arrive later this year. The fourth generation Mercedes C-Class arrived in 2014 and is waiting for its mid-cycle refresh. 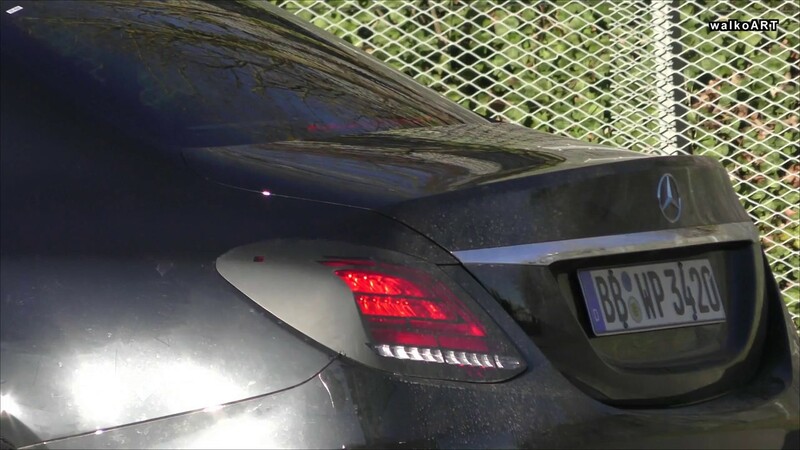 YouTube user walkoART has posted a spy video that shows the facelifted Mercedes C-Class undergoing road testing ahead of its launch in late 2017. Mercedes-Benz started working on a facelift for the C-Class just 12 months after its official revealing, in 2015. The new model would get revised bumpers with updated air intakes in the front one, new LED headlights with a design similar to those of the latest Mercedes E-Class, restyled side skirts, new wheel designs and tweaked LED tail lights with a new C-shaped graphic. On the inside, the 2018 Mercedes C-Class is expected to get a fully digital instrument cluster, new steering wheel and some changes to the trim and upholstery choices. Spy shots have revealed a new touchpad as well, which should make using the infotainment system simpler. The 2018 Mercedes C-Class' tail lamps feature a new C-shaped graphic. With the facelift, the W205 Mercedes C-Class will likely see its 2.1-litre diesel engine replaced by the new OM 654 2.0-litre diesel engine from the W213 Mercedes E-Class. The current range of turbocharged four-cylinder petrol engines should continue. The facelifted model will hit the European markets later this year, with the Indian launch following in 2018.